PIC: @NickUt & Kim Phuc dinner at @ABC7DavidOno’s home was catered by @StarryKitchen. Can you say pork belly?! PIC: @NickUt & Kim Phuc dinner at @ABC7DavidOno’s home was catered by @StarryKitchen. 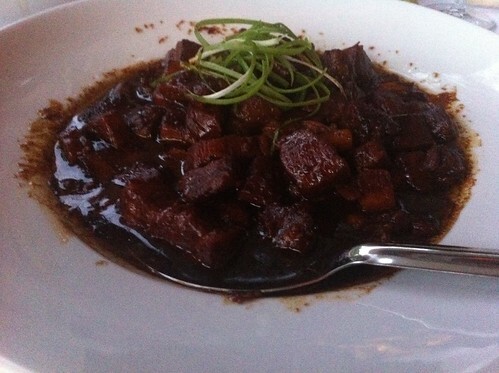 Can you say pork belly? !, originally uploaded by @jozjozjoz. 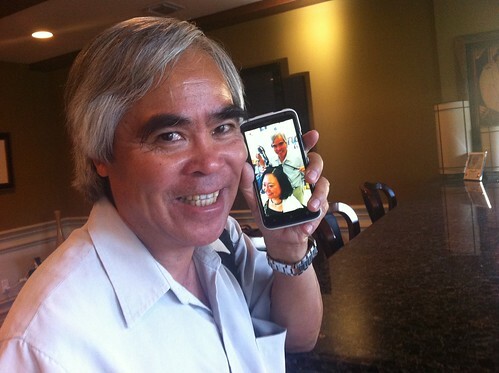 PIC: @NickUt shows me a photo of himself moonlighting as Kim Phuc’s hairstylist today. #multi-talented #napalmgirl #AAJA, originally uploaded by @jozjozjoz. PIC: @ABC7DavidOno hosts Pulitzer Prize winning photog @NickUt & Kim Phuc "Napalm Girl" #AAJA #honored, originally uploaded by @jozjozjoz. 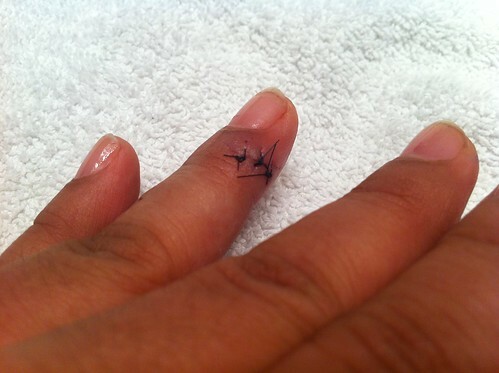 PIC: Do not look unless you want to see the stitches on my finger. Ugly sutures! PIC: Do not look unless you want to see the stitches on my finger. Ugly sutures!, originally uploaded by @jozjozjoz. After 5 days, my finger is still purplish. On the bright side it is healing rather well and it stopped oozing blood a couple of days ago. It does hurt less, too! Mostly, my "little flesh wound" has not seen the light of day (or the dark of night, for that matter!) and it has been wrapped in bandages. And I only got it once, Mom! The jozjozjoz.com archives for Saturday, June 2nd, 2012.